Your horoscope can offer a fun and exciting peek into your romantic future. There are horoscopes out there for teens that predict dating success, if he's likely to call, whether you should kiss him, or whether you should just ask someone else to the dance. All you have to do is find your sign and find out which signs are compatible with yours. Teen love horoscopes can be important because horoscopes written for adults aren't always relevant. Adult horoscopes often focus on careers and marriage, but teens want to know what to expect from school, their crush, and their friendships. But where can you find them? Teen magazines are a common source for horoscopes. They won't always focus solely on love, but there's bound to be at least some mention of your prospects with your latest crush or your chances for finding a date for prom. In addition to a love chart in each issue of the magazine, J-14 includes a love outlook in its weekly online horoscopes. The Seventeen website has three horoscopes for each sign: daily, beauty, and love. Astrology.com's horoscopes aren't devoted to love, but there are sure to be tidbits you can apply to current or potential relationships. Astrology on the Web features a weekly TeenScope. Before you start looking at teen love horoscopes, you need to know your astrological sign. There are also horoscopes based on larger personality traits, describing the characteristics of a person who is born under each astrological sign. For instance, Virgos are known for their attention to detail, and people born under the sign of Taurus are thought to be stubborn. These personality-focused horoscopes also describe which astrological signs are most compatible with each other. Aquarius is considered compatible with Libra, Gemini, Sagittarius, and Aries. Pisces is considered compatible with Scorpio, Cancer, Capricorn, and Taurus. Aries is considered compatible with Leo, Sagittarius, Gemini, and Aquarius. Taurus is considered compatible with Virgo, Capricorn, Cancer, and Pisces. Gemini is considered compatible with Libra, Aquarius, Aries, and Leo. Cancer is considered compatible with Scorpio, Pisces, Taurus, and Virgo. Leo is considered compatible with Aries, Sagittarius, Gemini, and Libra. Virgo is considered compatible with Taurus, Capricorn, Cancer, and Scorpio. Libra is considered compatible with Gemini, Aquarius, Leo, and Sagittarius. Scorpio is considered compatible with Cancer, Pisces, Virgo, and Capricorn. Sagittarius is considered compatible with Leo, Aries, Libra, and Aquarius. Capricorn is considered compatible with Virgo, Taurus, Scorpio, and Pisces. Some people truly believe the stars guide our lives while others like to check out horoscopes for fun. Whichever side you fall on, keep it all in perspective. Don't get so caught up in waiting for a predicted event to happen that you miss out on other great things. You also shouldn't give up on a relationship just because you and your new boyfriend don't have compatible signs. 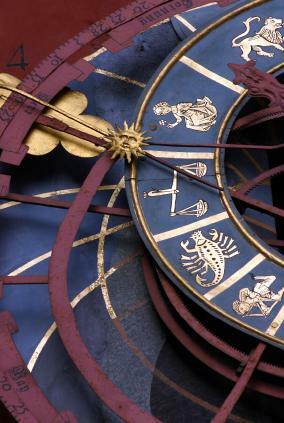 A healthy sense of balance is key to getting the most enjoyment and insight from horoscopes.